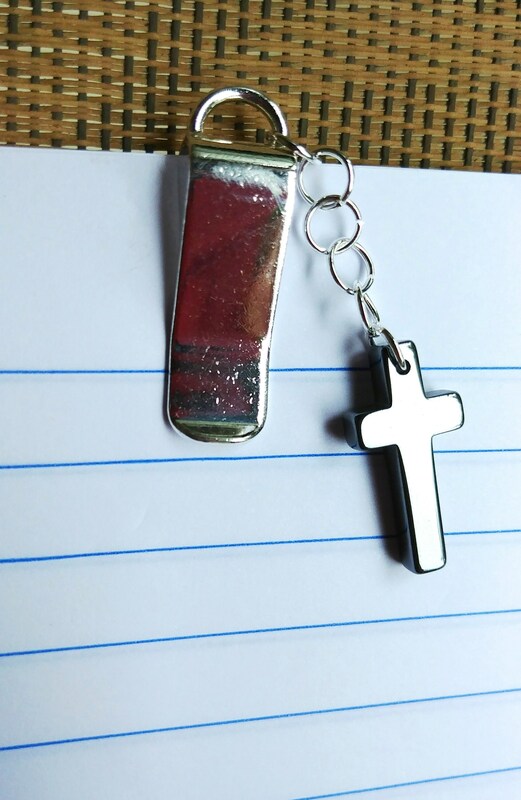 This silver bookmark clip is perfect for keeping your place in a book, or for holding a bunch of papers together as a paper clip. It has a dangling Hemalyke cross, which is a shiny, metallic gray. 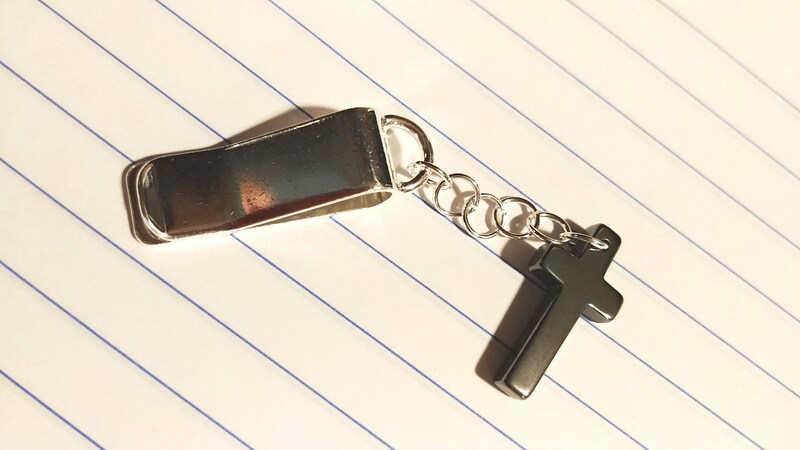 The metal clip (including the loop on top), is approximately 1 3/8 inches long. The cross alone is 7/8 of an inch. Please note: This clip is not intended for use with thin paper. I suggest that multiple pages be used in the clip at a time, to ensure a tight grasp. When pulling the clip off, always be sure to pull at the metal loop at the top of the clip, do not pull on the cross dangle.